Marshall, a company that made its name in guitar amplifiers, has been branching out of late – headphones, digital radio, and speakers for portable music players. 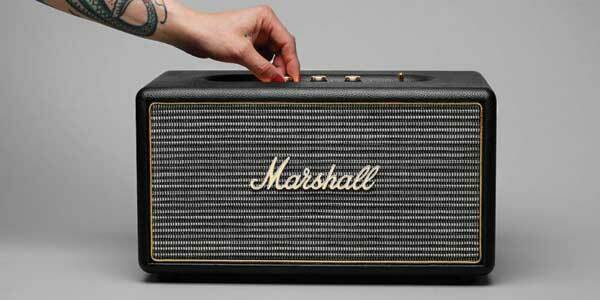 At the IFA Show in Berlin it has shown off its latest product, the Marshall Stanmore, a portable, active loudspeaker. 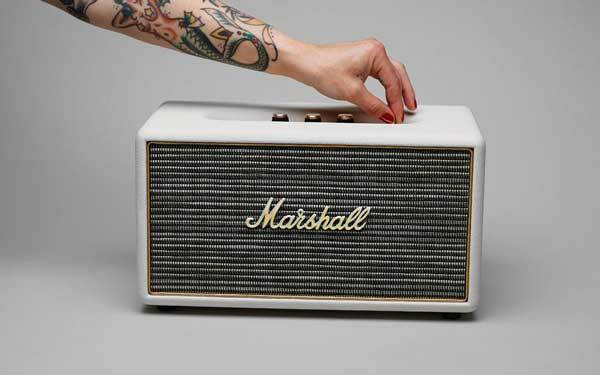 The Stanmore is a smaller version of last year’s Marshall Hanwell, and will play sound wired from phones, computers, tablet computers, vinyl record players, TVs, or wirelessly where possible via Bluetooth. 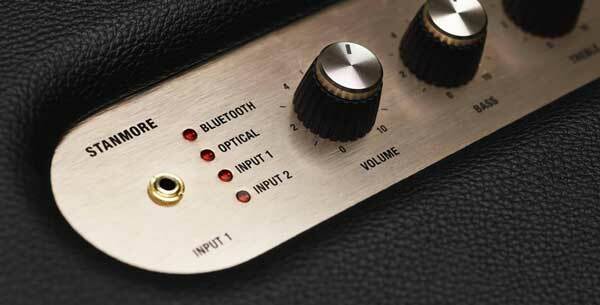 On top of its Bluetooth capability, the wired options are a 3.5 mm jack, RCA, and optical inputs. Behind the fabric grill cover and the famous Marshall logo are 2 x 3/4″ dome tweeters, 1 x 51/4″ woofer, and a 4omm Class D amplifier, pumping a maximum power output of 80 Watts RMS. All up it measures 350 X 185 X 185 mm, weighing in at 5.1 kilograms, and available in either black or white. The bad news if you like the look and sound of the Marshall Stanmore, is that like the Marshall Hanwell it will not be shipped to Australia. It’s only for the US, Canada, Japan (110-120V AC 50/60HZ version), and EU, Norway and Sweden (220-230V AC 50/60HZ version).